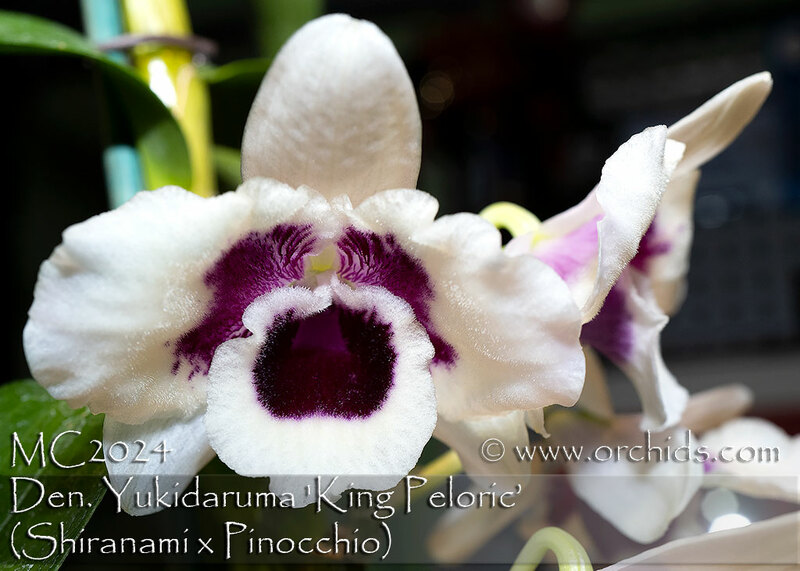 An eye-popping mutation resulting from the classic white clone ‘King’ AM/AOS and the recipient of a Silver Medal from the Taiwan Orchid Growers’ Association ! In addition to carrying a delightful fragrance and a broader lip with a deeper burgundy throat, its peloria is expressed with a vivid central explosion of burgundy on its petals. 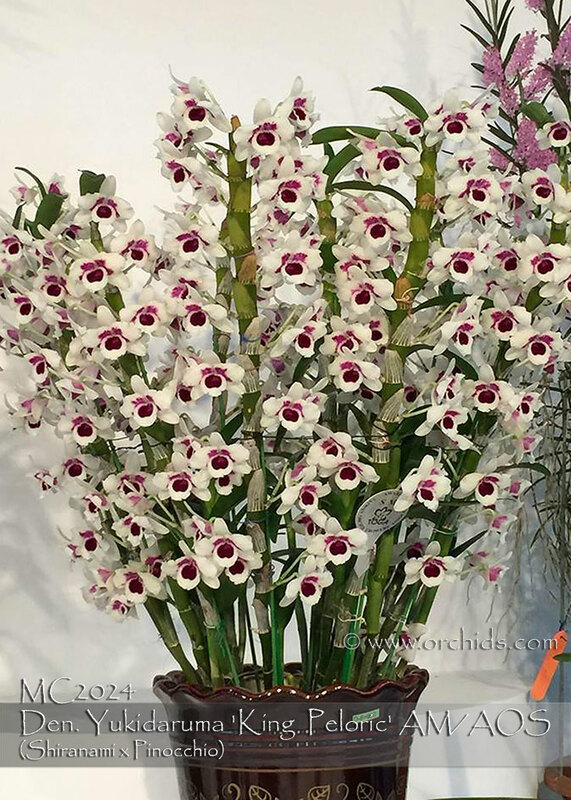 An exciting new look for the always popular nobile Dendrobiums and Award Quality. Very Highly Recommended ! King Peloric, Note : Premium plant with 26 - 36 " in height.